Yes! We offer financing through Paypal Credit. When checking out choose "Paypal" as your payment method then follow the links to use Paypal credit. Paypal credit is currently offering no payments and no interest for 6 months on purchases over $99! If I order now can I have my order held and shipped at a later date? Yes! We can hold your order in our warehouse to ship later. Please be aware that due to limited warehouse storage space that if the holding time is more than 7 days then you will be charged a 50% non-refundable fee if paying by credit card then the remainder of the balance will be charged when your order ships. Paypal paid orders will be charged in full on the purchase date with 50% refundable if you decide to cancel at a later date. To schedule a delayed shipping date simply let us know in the Shipping Comments of the order form. Do you offer Glossy Teak Furniture? Yes, we offer a gloss finish as an optional upgrade. To view examples and more information, please Click Here. I recently purchased an item that has since dropped in price. Can I get a price adjustment? In the unlikely event an item's sale price drops below what you paid Westminster Teak will refund the price adjustment in the amount of the price drop within 30 days of your original purchase. Adjustments will be offered in the form of a cash or credit refund. Please contact us by phone (1-888-592-8325) or email with your Order Number and we will be glad to assist you. Yes, we can do custom furniture in mass quantities, usually above 15 items depending on the design. Please Contact Us for more information. For quantity less than 15 please contact E.M. Wood Designs, LLC with your custom furniture requests. What's so special about Westminster Teak's furniture. How is it different? On the internet, the selection of outdoor teak furniture is as wide-ranging as its prices that many customers often wonder why such a large range in price for products that looks so similar. The difference is in quality. Though helpful, pictures cannot give you a fair representation of quality and service. We're glad that you're making this effort to learn more before making your purchasing decision and hope that the information and knowledge that we share will help make the difference. As one of the leading online distributors of teak furniture in North America, Westminster Teak recognizes the influence it plays on the industry and the impact it has on the environment, specifically in regard to forest conservation and management. We have made it our company’s policy to source our teak wood from sustainably harvested and credibly certified plantations. Our factory, the first to join Nusa Hijau, the Indonesian Chapter of the Global Forest Trade Network (GFTN), an initiative of WWF® (World Wildlife Fund) in the archipelago, purchases wood only from plantations managed by Perum Perhutani (The Ministry Of Forestry), whose primary mission is to eliminate illegal logging and improve the management of threatened forests. It also works to promote biodiversity and the livelihoods of the people that depend on them. A very large percentage of furniture coming out of Indonesia comes from cottage industry. With exceptionally low labor cost, ’handmade’ furniture there could be produced at a price we in the US could hardly get for the cost of lumber. ’Cottage-industry’ in Indonesia -- usually operated through a loose network of home-based carpenters, craftsmen and artisans where entire families work on a particular type of furniture -- also means there are no actual quality control procedures or processes to follow. 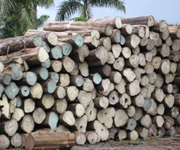 There are no set guidelines in the selection of even basic raw materials such as wood, which very likely do not come from certified plantations. This makes the sourcing of the wood by both local and international standards, illegal. There are no set manufacturing production standards and procedures to follow and no modern equipment such as commercial kilns and modern plant tools and equipment, etc. These places lack the most basic modern tools we take for granted. So, the next time you shop for teak furniture, or any other hardwood furniture, floor or lumber for that matter, ask for the source. We know exactly where ours come from. Like genuine leather and other luxury materials we’ve come to appreciate, there are varying qualities of teak. Westminster Teak uses only premium grade 100% Tectona grandis, teak wood. Only the finest cuts are selected and used in the production of our furniture. Much of the lumber used in the cottage industry is of secondary quality that may include sapwood. We use only select kiln-dried teak wood with characteristics that include: straight grain structure, absence of knots, splits or cracks, and an even tone in color. Our process takes about two weeks of kiln drying to achieve a moisture content of about 10% and an additional week or so of ’resting’ to allow the wood to reabsorb moisture from the air. This natural ’reabsorbing of moisture’ process will ensure that the wood regains its dimensional stability and will not warp or split during or after the manufacturing process. This crucial stage of reabsorbing moisture also ensures the stability of the furniture to withstand the rigors of climatic changes. Without the use of modern machinery to produce precision cuts, the structural integrity of the furniture (especially for outdoor furniture) will always be in question. Each of our furniture pieces comes with their own set of solid teak dowels that are pre-dried to a moisture content much lower than that of the furniture. This has been so designed to allow the dowels to reabsorb moisture from the air, creating an extraordinarily strong joint once fitted into the furniture. Every piece of teak furniture does not leave the factory without being inspected not only for quality in construction but for smoothness to the touch. Every piece is sanded with very fine grit sandpaper and buffed to a fine ’micro’ finish that is silky smooth to the touch. We take pride in how we build our furniture and care very much in ensuring that you will receive them as beautifully as they were made, at your doorstep. We've made every effort (and always striving to improve) to make sure that every piece of furniture reaches your home the same way it left our warehouses. The packaging of every box is inspected before each shipment. Most packages (except for small boxes) are often hand-crated before they leave our warehouses. Free Return Shipping is an expensive undertaking in the furniture business that none of our competitors have been willing to do. This unprecedented assurance comes only with the confidence on the quality built over years of determination to produce the best quality products. There are no shortcuts in producing a quality product. Outdoor teak furniture should age gracefully and last through many changes of the seasons. Any shortcuts taken will quickly show up within the first year -- as warping, splitting, cracking, etc. Do not hesitate to look thoroughly at a piece of furniture the next time you go shopping for chairs or a table. Look closely at the joints, look at its underside, feel the finish. Yes! Please Click Here to review our Better Business Bureau Membership. I am concerned about Rain Forest deforestation. Is the teak wood used in the manufacture of Westminster's furniture certified for sustainable practices? 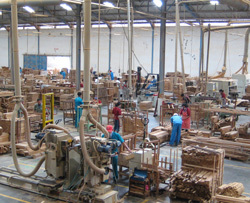 We have made it our company’s policy to source our teak wood from well managed, credibly certified plantations. Our factory was the first to join Nusa Hijau, the Indonesian Chapter of the Global Forest Trade Network (GFTN), an initiative of WWF®(World Wildlife Fund) to eliminate illegal logging and improve the management of valuable and threatened forests. We purchase wood only from Perum Perhutani, the government-managed plantation that promotes biodiversity and the livelihoods of the people that depend on them by allowing multiple crops to be planted amidst teak trees, for the benefits of the local economy. 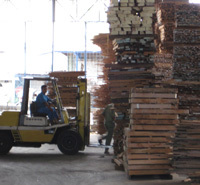 Perum Perhutani offers both SVLK and FSC certified wood. And, because it is the only source in our supply chain for wood base material, we have 100% transparency; we know exactly where all our lumber comes from for every component of our furniture, from the forest floor to retail floor. All of our teak wood holds SVLK (Sistem Verifikasi Legalitas Kayu) or INDO-TLAS (Indonesian Timber Legality Assurance System) Certification. SVLK certification not only ensures that only legal timber is exported from Indonesia, but effectively manages sustainable forestry practices while reducing illegal logging and trading. Required by law for Indonesian timber to be exported, you can be assured that the furniture you purchase is a finely crafted product, from legally and sustainably harvested wood. 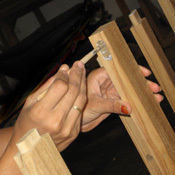 We also offer FSC Certified Teak Furniture for projects where FSC is required. Please Contact us for more information. How does your furniture compare to other manufacturer's? 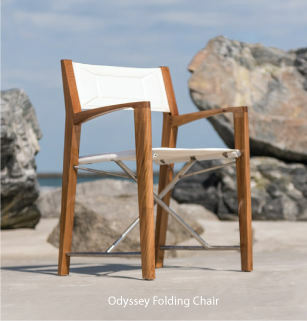 Our First European Quality (FEQ) furniture has been evaluated by thousands of satisfied customers; all of which have come to the conclusion that when compared against the "well known" high end teak outdoor furniture manufacturers, the Westminster teak outdoor furniture purchasing experience, quality AND craftsmanship are equal to, if not better, than the "big names". On May 24th, 2002, we were ecstatic to learn that our Captain Steamer 2000 was rated Best Overall in The Wall Street Journal for best overall comfort and quality. We put the same dedication into every single piece of teak outdoor furniture we manufacture, knowing and encouraging any doubters to do the comparisons themselves. We are absolutely confident that you could put any piece of teak furniture we manufacture up against any brand name (or less than brand name for that matter) and our quality will prevail. To read more about how our teak outdoor furniture is constructed and assembled, click here. How do I care for my teak outdoor furniture? The short answer is that teak needs no care or special maintenance regimen. Untreated, natural teak (without oil) will weather to a handsome soft-silvery patina within a year or so, depending on the amount of sun and weather it is being exposed to. Mild soapy water, and a soft brush or pad, will clean away any accumulation of dirt. Finish by hosing it down with water. Depending on the environment, you should not have to do this more than twice a year. Over the years, your furniture will weather gracefully. If mold and mildew are persistent then consider using a 1:2 salt water rinse to clean your furniture. For best results, we recommend the use of our Teak Furniture Cleaner. We’ve taken every measure in ensuring the security of our site to protect all your personal data including credit card information and passwords, etc. We also strive to continually upgrade our system to meet the best the industry has to offer. All orders are encrypted using Secure Sockets Layer (SSL) technology. The technology encrypts to protect all your personal information including credit card numbers, names, addresses, passwords, while the information travels over the internet. If however you prefer not to order over the online over the internet, you can still order by calling 1-888-592-8325. What kind of warranty do you offer for the furniture? Since some of our designs are not all solid teak but comprised of mix materials (such as textilene fabric, stainless steel, powder-coated aluminum, or brass hardware), the warranty may differ from one type of furniture to another. Please see our Warranty page for details. No. The teak furniture comes from the factory kiln dried and ready for assembly. Some customers prefer not to use an oil or finish on the teak, therefore all items come ready to finish if so desired. Applying teak oils will darken the complexion of the wood, giving it a dark rich luster that some people like when used both indoors and outdoors. Some prefer to leave their teak furniture plain and let the natural outdoor patina weather to a silvery gray luster. The choice is always left to the customer for finishing. Although our furniture is unfinished we do have the option for teak finishes that we apply before delivering to you. From Teak Oil to Superyacht Gloss, we have a variety of finish options for you. Because the finishing process can take 2 to 12 weeks depending on the finish, we recommend you purchase early in the season to ensure you will be able to enjoy your furniture during the summer. Why is there such a price difference when shopping for teak furniture? When shopping for Teak furniture, first make sure you are buying 100% solid teak. Many competitors disguise the fact that their furniture is either made from Shorea wood, which is NOT teak by any stretch of the imagination, and/or use a combination of teak and Shorea wood which will not hold up as well as 100% solid teak furniture. Also, it is very important to make sure you are buying teak furniture that is made from "kiln dried" lumber, and not "green" lumber, which has a high moisture content and will start warping over time when left outdoors. Westminster Teak furniture is made from 100% genuine plantation grown solid kiln dried teak lumber from Indonesia, and is of the highest quality you can find anywhere in the world. Another reason there is such a difference is the quality of work put into the furniture. For instance, you will not find any other brand of teak furniture that has such a smooth, finely sanded finish as Westminster Teak. Cheaper, lower grade furniture is rough to the touch, and mid grade furniture is still nowhere near as smooth as Westminster Teak Furniture. For more details please visit our Why Westminster Teak? information page. Customer Service is also another important issue that is often overlooked when ordering teak furniture. At Westminster Teak you will have one representative that can handle your order from beginning to end. We maintain direct contact with you and our shippers to ensure that there are no complications. If a complication arises we go out of our way to ensure that it is handled quickly and to your satisfaction. Other companies will leave you to figure your own problems out. And if you are not satisfied then they make you pay for the return of the furniture. In comparison, we pay for the return of the furniture if you are not satisfied, so you get your entire refund. How long does it usually take for shipping? On average it will normally take 4-5 business days for furniture to arrive after it has been shipped from our warehouses, depending on which part of the country you are located. If in stock, orders typically leave our warehouse within 24 hours of placing your order. In stock cushions also ship within 24 hours. However, made to order cushion covers normally take 6-12 weeks, depending on whether it is peak season or not. In this case, we will ship in stock temporary cushion covers so that you may enjoy your furniture while your made to order covers are produced; you may keep the temporary covers. If some items in your order are not in stock, you may request to hold your entire order until all items are ready to ship.